Storm surge from Hurricane Maria pushed more than a mile inland, bringing a mix of seawater and sewage into living rooms – 6 feet high in some places. In the wake of the storm, residents painted “S.O.S. We Need Water/Food” on a street. A photo of the sign went viral and drew widespread attention, including that of Beatriz Rossello, the first lady of Puerto Rico, who opened a recovery office in town. 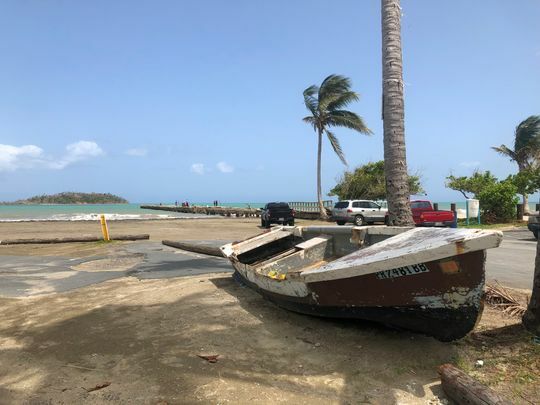 The storm dwindled his fellow fishermen’s fleet of boats from 15 to two, and the pier they used to launch their boats remains wrecked, forcing them to make perilous beach launches in a pounding surf that often leads to injuries, he said. 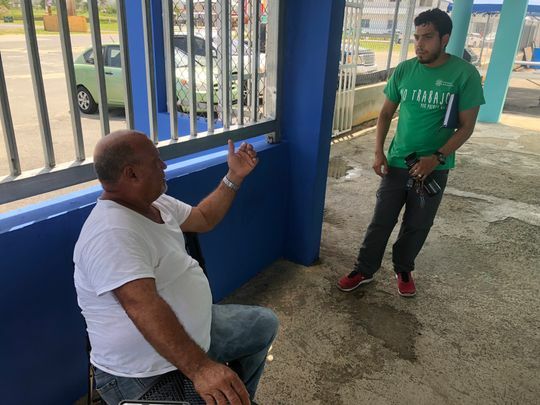 “Any recovery here is thanks to these guys,” Torres said as Foundation for Puerto Rico volunteers shuttled in and out of the “pescaderia,” a gathering place for fishermen. Angelina Ruiz-Lambides’ first concern was the monkeys. 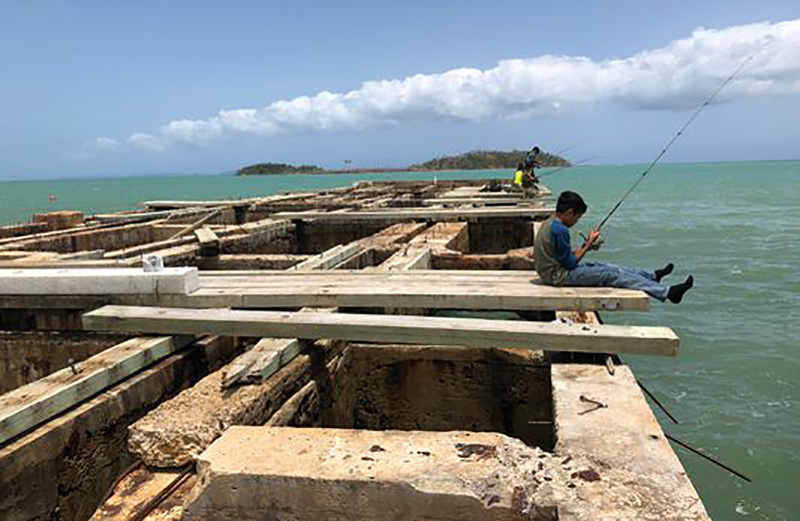 Ruiz-Lambides oversees the research facility that monitors 1,800 free-ranging rhesus macaque monkeys living on Cayo Santiago, a short boat trip from the pier here. After confirming all the monkeys – astonishingly – had survived Maria, she shifted her focus to her staff and to the community at large. Those who received the grants often discovered it wasn’t enough to cover the cost of repairs. Her group helped about 400 families close that gap through private donations, but much more is needed, she said. “Anyone who believes that the federal government has done a great job in Puerto Rico, I invite them to visit Punta Santiago,” Arroyo said.